Typically, a lesson will begin at 9 am and finish by lunchtime. 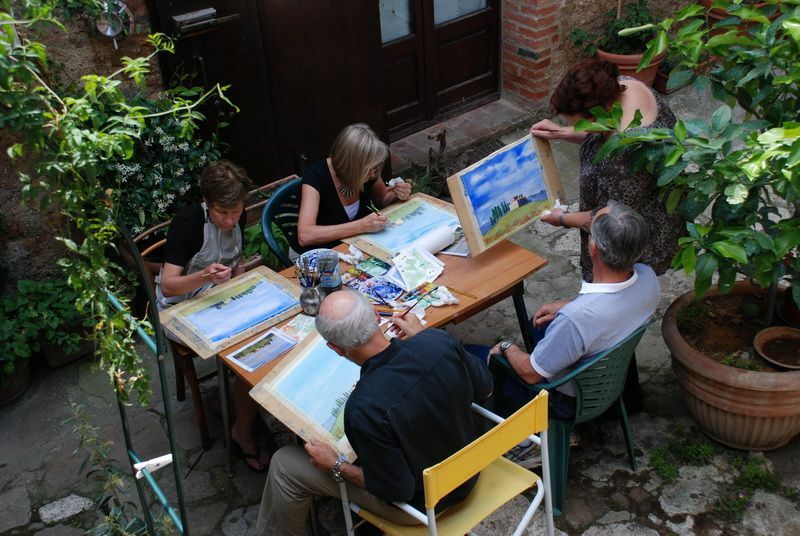 Lessons include some basic watercolour techniques and tips about composition and use of colour. They are geared towards beginners and materials include paper and the use of pencils, brushes, basic palette of colours, boards. Lessons can go from "one off" to weekly courses, depending on request. 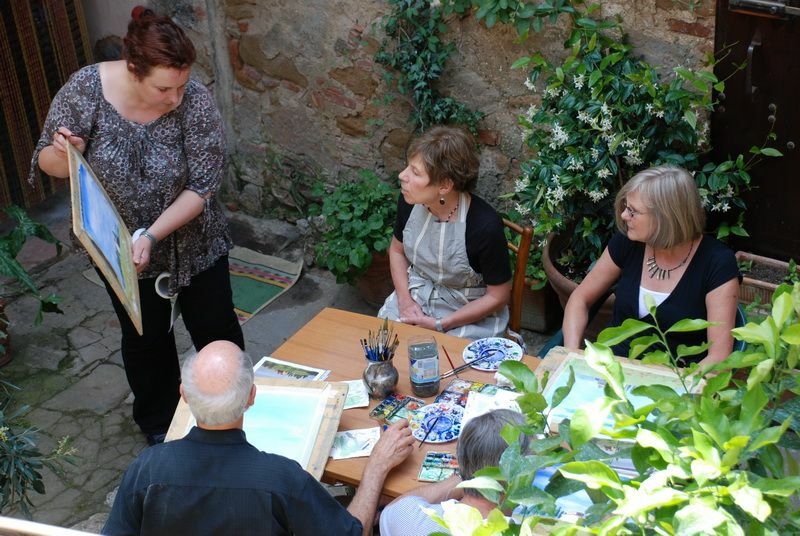 We propose watercolor because it's easiest to use outdoors but Elisabeth will be happy to arrange oil painting classes for those of you who prefer it. 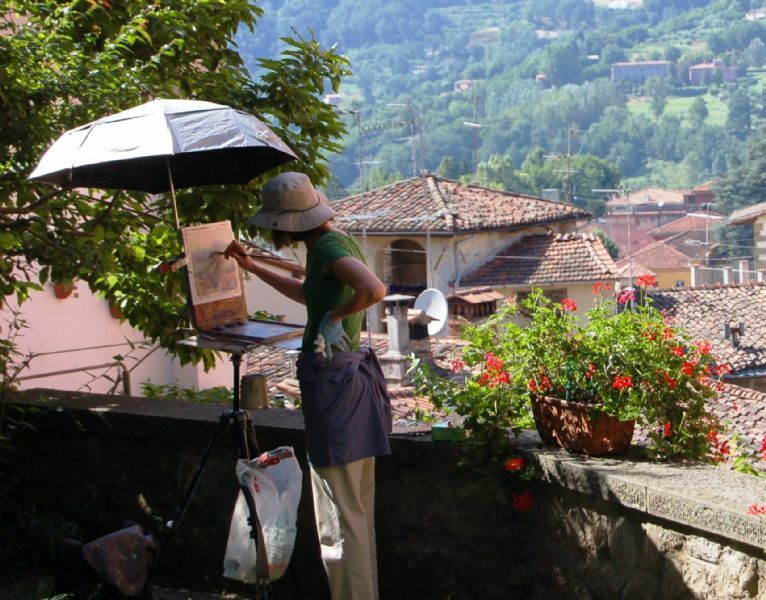 Elizabeth is primarily a landscape painter influenced by the French Impressionists and Turner, she found the combination of the light and rhythms of the landscape of Tuscany the perfect enviroment for her work. 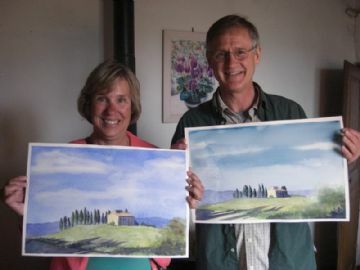 In her watercolours, she seeks to depict fleeting moments, sunsets, rolling clouds, misty sunrises and the effects of light. In her oils, she seeks to depict the rich textures, colours and shapes of the landscape described by dark shadows and intense light.